very wide range of fibrous products. 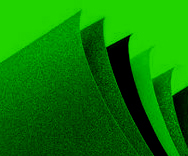 We design and manufacture the production equipment for high performance nonwoven products. 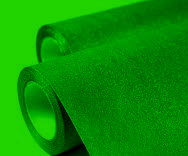 Used in the medical, filtration, food, construction, energy and hygiene sectors, nonwoven products are produced from natural, synthetic and composite fibres which give them their high value-added functional qualities. In the medical world, disposable nonwoven products are essential for health care in order to avoid infections; they act as a protective barrier. Bandages, gauze, hospital gowns, sterile towels, etc. 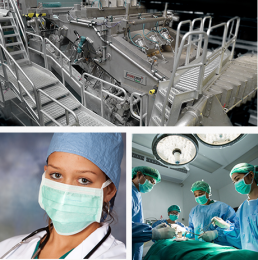 ; the nonwoven products produced by Allimand’s customers combine treatments to ensure resistance and comfort; essential factors for materials used by health care staff and their patients. 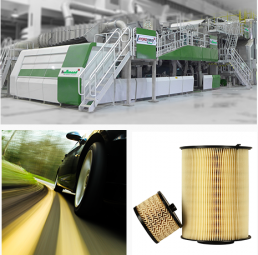 Allimand machines are capable of producing diverse filtering medium: air filters, water filters, oil filters; products for the motor, energy and water treatment industries. 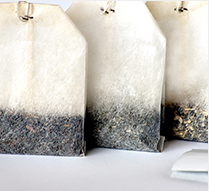 Allimand machines are used in the food sector for the production of teabags, coffee pods and other food related materials. 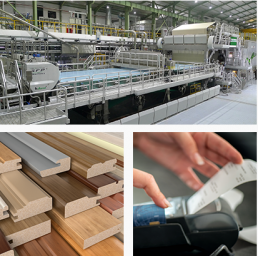 Materials used in construction and decoration such as wallpaper, flooring and adhesive tapes are developed by Allimand to meet the construction and decoration market needs. 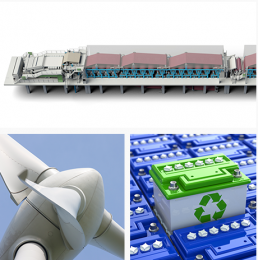 Allimand designs production lines for products used in the wind power market and works on monitoring water quality using high performance filtering materials. 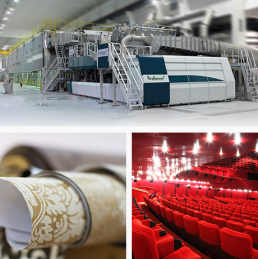 Glass fibre battery separating paper and sound and thermal insulation are also part of Allimand’s paper making skills. 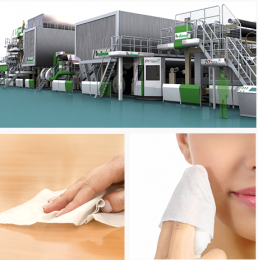 Hygiene papers, used for industrial cleaning, in the health and food sectors, are highly efficient and resistant and designed for optimum absorption. 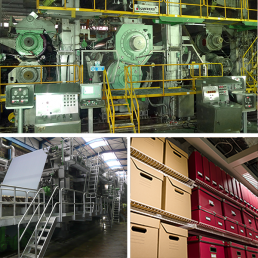 We make everyday paper machines. What are speciality papers? Most of the papers we use in our everyday lives!Bank notes are printed on special paper, receipts on thermal paper, daily images of everyday life on photographic paper. Cigarette paper, decorative paper and adhesive labels are also classed as speciality papers. Technical paper can also be thermal paper which, with a heat sensitive layer, becomes heat resistant. Contact spots darken in the process. This thermal paper is used for example for bank statements, receipts, tickets, baggage labels etc. Refined or specialized papers such as tracing paper, geographical maps, and opaque papers also come under the category of technical papers. Bank notes for example, require a paper which is resistant to wearing, totally secured and impossible to forge. It has integrated security characteristics such as metal filaments. 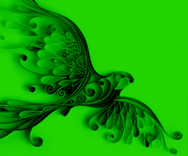 Allimand designs and manufactures this type of secured paper. 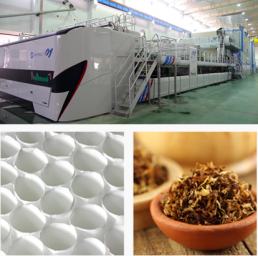 Allimand meets the demand of the tobacco industry (cigarette, tipping, plug wrap, reconstituted tobacco) by offering high quality products. The current hygiene standards and regulations are respected and sterility is ensured. Board is used the most often for packaging. It is used more than glass or plastic.Flexible, recyclable, board is used in different forms: corrugated board, kraft paper used for paper bags, brown paper for classical wrapping, packing board. Multiple use packing board: to protect goods during transport, as a communication aid or simply to promote a brand. 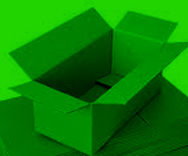 The “construction” requirements for packaging therefore differ hugely from one use to another. Especially as packaging represents half of the world’s paper consumption! 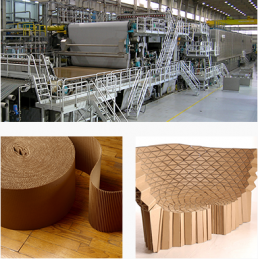 To produce corrugated board such as liner and fluting, Allimand uses semi-chemical pulp or a mix of recycled paper. 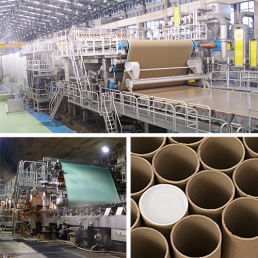 From recycled board, Allimand machines design and manufacture corrugated paper used for folding board lining for example. Allimand machines are optimized in order to reduce energy (electricity and steam) and water consumption as much as possible. This board is used for various applications where the quality of printing isn’t important. It is mainly used for producing tubes and spools for hygiene, battery and fabric paper industries. It is used for making consumer goods such as puzzles and games. This board can create partitions for packaging, box dividers or slip-sheets. Perfume boxes, yoghurt pot packaging, pastry boxes, pharmaceutical boxes, folding boxes play a part in the consumer’s everyday life. Its industrial and practical qualities have won over numerous sectors. Folding board, whether for mass consumption or retail products, promotes brands, shows the products at their best, highlights offers, informs the consumer and efficiently packs the products. Despite the digital revolution, graphic papers: newspapers, magazines and copy paper (photocopiers), are not over yet. Newspaper is mostly produced from recycled paper. Magazine paper requires a better quality but proves to be made more and more from recycled paper too. 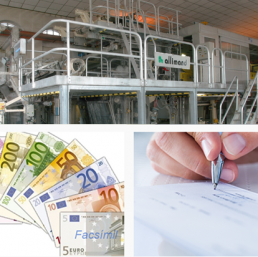 Allimand works around the clock to improve the process technology for the production of graphic papers. Printing papers, used for magazines, catalogues, newspapers, books, can contain (or not) wood or is said to be (or not) coated paper. 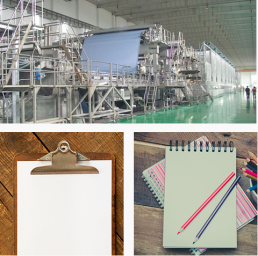 Writing paper is used to make notebooks, stationery and drawing pads. 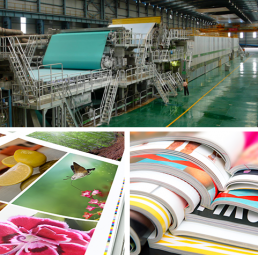 Used for mail order catalogues or periodicals for example, coated paper, which is coated on both sides and contains wood, meets the toughest requirements regarding the degree of whiteness and the surface and printing quality. 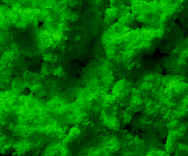 Pulp, or stock, is the raw material for the production of paper.Stock preparation involves isolating the fibres contained in wood, other woody plants or other fibre resources. Their mechanical, optical and morphological properties are conserved and the lignin, the other main material found in wood, is eliminated. To do this, there are two main methods: the mechanical way and the chemical way. There are also other methods which combine the two. Using these methods, paper can be produced from any fibrous plant material rich in cellulose: hemp, bamboo, cotton, linen, raffia, papyrus, reed, wheat straw, rice straw, etc. 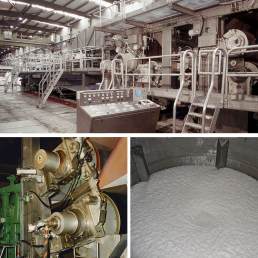 The wet machines designed and manufactured by Allimand produce pulp mats which are then dried, cut and conditioned into bales. These bales are then sold in the market pulp sector.